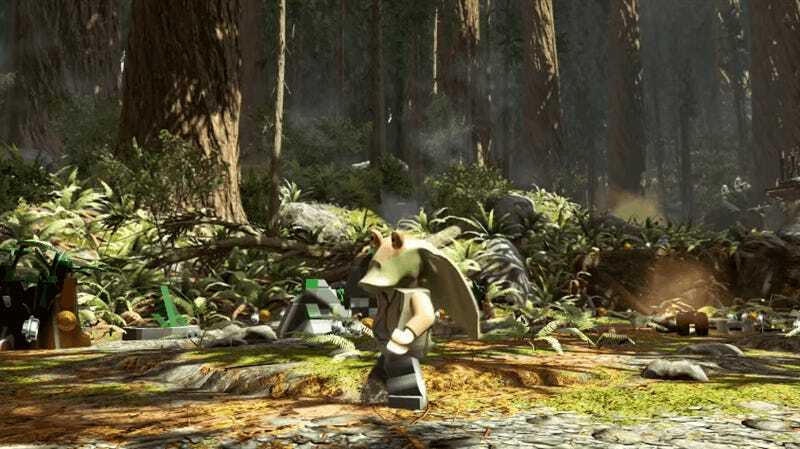 The first two rounds of downloadable content for Lego Star Wars: The Force Awakens drop today, along with some apples from the slippery hands of that lovable scamp, Jar Jar Binks. About time we got some prequel action up in here, am I right? No, I am not right. Still, it’s nice to see some of the other characters arriving as part of the Prequel Trilogy pack, which includes Anakin Skywalker (Damaged), Captain Panaka, Darth Maul, Jango Fett, Padmé Naberrie, Watto, Zam Wesell and two vehicles. Also dropping today is the Freemaker Adventures character pack, based on Lego’s original Star Wars series, which is pretty outstanding. More on that later. For now enjoy Baash (Iktotchi), Graballa the Hutt, Kordi Freemaker, Naare, Raam (Iktotchi), Roger (Battle Droid), Rowan Freemaker, Zander Freemaker and two different sizes of the Star Scavenger. Both packs are available today for $2.99 apiece, or free for season pass holders. Can you really put a price on Jar Jar’s head? God I hope so.